HistoryElephant: What are your chances of being hit by a bus? When you're out in front, everyone can see your behind. What are your chances of being hit by a bus? To highlight how dependent they might be on a key employee, businesses are often asked what they would do if that employee were run over and killed by a bus (e.g. the Bus Test) - and the answer would point out various problems for disaster recovery and business continuity planning issues. So what are the odds of someone being killed by a bus? For the UK, we can look at the official statistics (Department for Transport). For 2004, there were 121 accidents involving buses and causing a death. That doesn't quite mean that 121 people were killed by being hit by a bus as it would include any accident involving a bus where any number of people died (there's a table showing that 3 bus drivers and 17 bus passengers were killed). This is expressed as a rate per 100 million vehicle kilometres of 2.3. So, on average, any one bus is involved in a fatal accident every 27 million miles of travel. So, if we assume that there were at most 121 cases of someone being killed by being hit by a bus and if we assume that everyone in the UK (60 million people) has an equal chance of this happening then the odds are something like 2 in a million (per year). Of course, anyone wandering around in China with their iPod on may have a higher chance. If memory serves...I didn't die. I believe in second chances, but I don't believe in third or fourth chances. See the link below for more info. Thanks for sharing informative article on disaster recovery and business continuity. I really find this blog post very helpful. Excellent post.Thanks for sharing this message. Really, Your blog is not only instructive but useful too. 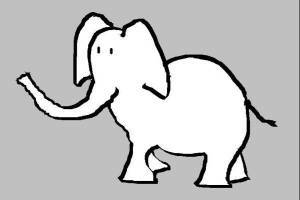 I met an elephant on safari, He asked me for the time, But I couldn't tell him it, Because it doesn't rhyme.